NC | Cherokee Co N.C.
Cherokee County NC Sheriff’s Office Arrest Report without images. Pursuant to the state open records law, North Carolina General Statutes Public Records § 132-1, Criminal investigations, § 132-1.4, Access to Records, § 132-9, allows for www.fetchyournews.com to obtain and post the arrest records of any and all individuals arrested in Cherokee County, North Carolina. Those arrests are posted on www.fetchyournews.com for your viewing pleasure. Please remember that all individuals listed have been arrested and charged, however, they are presumed innocent until guilt has been proven in a court of law. 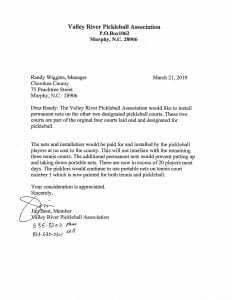 Next Article » Drug bust in Murphy, N.C.
MURPHY, N.C.- County Manager Randy Wiggins explained to the Cherokee Board of Commissioners how Senate Bill 179 and House Bill 278 would affect the county if passed, possibly costing Cherokee County taxpayers large amounts of money in the future. A copy of the Resolution submitted to BOC for signature on 04/01/19. In question is a service employee meeting the above requirements prior to retirement with possibly a few years left in the current system in another county relocating to Cherokee County. 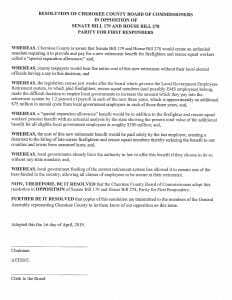 Should the County pay for the separation allowance once the firefighter, rescue squad worker, or EMS worker this benefit once relocated here for the remainder of their service years and has retired? Upon some discussion by the Board, weighing the facts of the bills and its affect on the County, they voted unanimously to pass their resolution opposing SB 179 and HB 278. The North Carolina bill’s primary sponsors were State Senators Brent Jackson (R), Danny Britt (R), and Tom McInnis (R) and was filed on March 4, 2019. The budget revision by Cherokee County school system for cameras mentioned at the March 18 meeting for an increase of $30,614. Applicants for Boards/Commissions/Committee were chosen. Christie Standish will be the permanent member with Shannon Greathead as the Alternate. Valley River Pickelball Association request for permanent new nets. 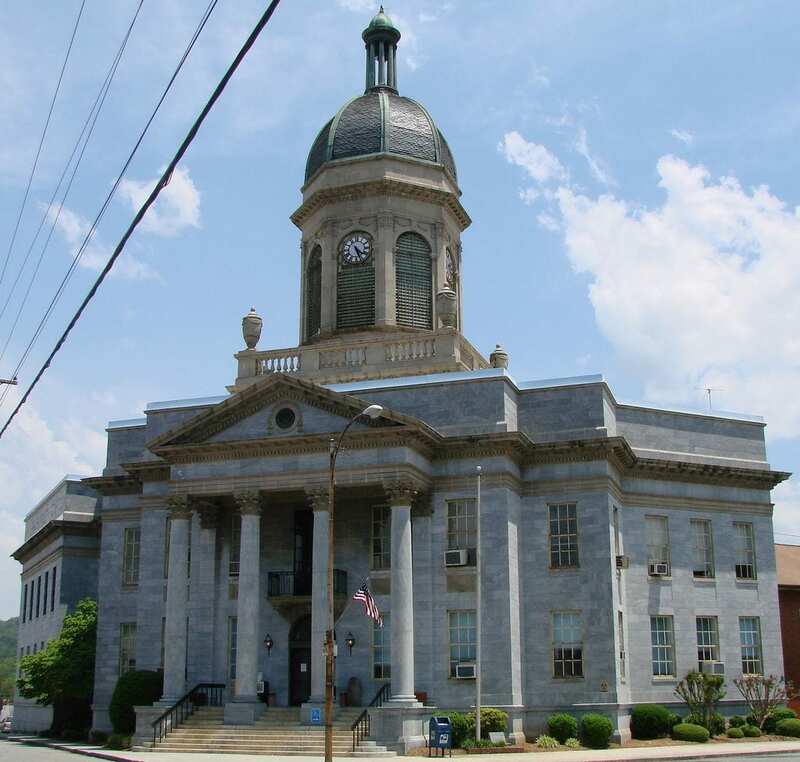 The next Commissioners meeting will be held on Monday, April 15, 2019, at the County Courthouse. FetchYourNews.com attracts more than 300,000 page views and 3.5 million impressions per month for ad server. FYNTV attracts approximately 15,000 to 60,000 per week Facebook page reach. For the most effective, least expensive local advertising, call 706-276-6397 or email advertise@FetchYourNews.com. 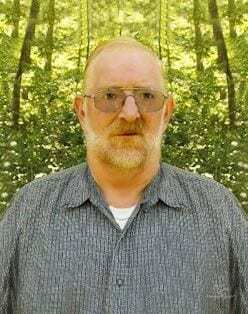 Billy Ray Mashburn, age 66 of Murphy went home to be with the Lord on Friday, March 15, 2019. He was the son of the late Leonard Jackson and Lillie Melinda Farmer Mashburn. Billy was of the Baptist faith and a member of the Ogreeta Baptist Church. He enjoyed socializing at the Unaka Community Center and visiting with his large extended family. Billy worked in the carpet mills in Dalton, Ga, drove a bus for Cherokee County Schools and worked at Mundy’s Lumber Company. In addition to his parents he was preceded in death by a brother, Harold Leonard Mashburn and a nephew, Jonathan Edward Carroll. He is survived by four sisters, Wilma Mashburn Beaver of Marble, Lois Mashburn Sneed and husband Stanley and Thelma Mashburn Allen and husband Robert all of the Ebenezer community and Doris Mashburn of Trenton, FL; two brothers, Herman Mashburn and wife Elaine and Paul Mashburn and wife Regina all of the Unaka community; and many nieces and nephews. Funeral services will be held at 3:30 pm, Sunday, March 17, 2019 at the Townson-Rose Funeral Home Chapel in Murphy. Rev. Calvin Murphy will officiate. Music will be provided by David Lovingood. Burial will be in the Unaka Baptist Church cemetery. Pallbearers will be Adam, Jerry, Melvin, David and Jason Mashburn and Tyler Dockery. Honorary pallbearers will be James Sneed and Tripp Beaver. The family will receive friends from 2 pm to 3:30 pm, Sunday, March 17, 2019 at the Townson-Rose Funeral Home Townson-Rose Funeral Home is in charge of all arrangements. 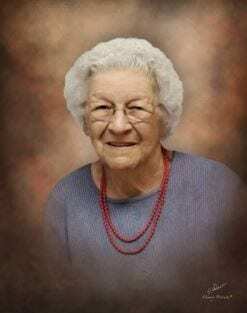 Vaud King, age 94 of Murphy, NC passed away Tuesday, March 12, 2019 at her residence. She was a native and lifelong resident of Cherokee County, NC and the daughter of the late McKinley and Minnie Headrick Stiles. 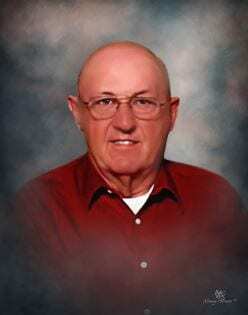 Vaud was a lunchroom manager in the school system and a member of Oak Grove Baptist Church. In addition to her parents she was preceded in death by her husband, Gordon King; one son, Harold King; brothers, Harvey, Herman, Homer and Jack Stiles; and sisters, Norma Nix, Mae Roberts and Oma Taylor. She is survived by one son, Steve King; one brother, Claude Stiles; two sisters, Barbara Anderson and husband Edgar and Eunice Johnson; seven grandchildren and 11 great grandchildren. Funeral services will be held at 2 pm, Saturday, March 16, 2019 at the Oak Grove Baptist Church. Pastors Ronnie Crisp and Randy Johnson will officiate. Music will be provided by Russell Anderson. Burial will be in the church cemetery. Pallbearers will be Kevin King, Clint Rankin, Jimmy Bailey, Chris Johnson, Danny Turner and Rodney Vice. Honorary pallbearers will be Johnny Martin and Edgar Anderson. The family will receive friends from 5-8 pm, Friday, March 15, 2019 at the Townson-Rose Funeral Home in Murphy where she will lie in state until being placed in the church one hour prior to the service hour. Townson-Rose Funeral Home is in charge of all arrangements. 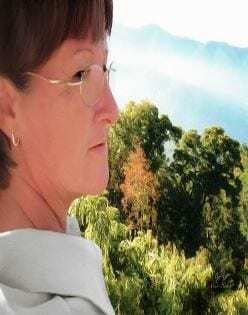 Helen Lois Ledford Kerrigan, age 63, of Hayesville, NC passed away Friday, March 8, 2019 in Buncombe County, NC. She was a native and lifelong resident of Clay County, NC and the daughter of the late Ralph and Geneva Patterson Ledford. Helen’s passion was cooking. She had cooked for several restaurants and organizations. In addition to her parents she was preceded in death by one son, Joseph Kendall Barnett and the love of her life, Newton Forrester. She is survived by her children, Mendy Sanchez and Benny, Jonathan Forrester and Chris and Jason Forrester; her siblings, Virginia Monkus and Owen, Betty Ledford, Debbie Eller and Steve and David Ledford; grandchildren, Devin Conatser, Austin Conatser, Marcus Forrester and Emerson Forrester. Funeral Services will be held at 2 pm, Tuesday, March 12, 2019 at the Townson-Rose Funeral Home Chapel of Hayesville. Rev. Clark Moss will officiate. Burial will be in the Union Hill Cemetery in Hayesville, NC. Pallbearers will be Scotty Monkus, Dustin Ledford, Devin Conatser, Austin Conatser, David Ledford and Ethan Monkus. Honorary pallbearers will be Marcus Forrester and Logan Thurman. The family will receive friends from 12-2 pm, Tuesday, March 12, 2019 at the Townson-Rose Funeral Home Chapel of Hayesville. In lieu of flowers memorials may be made to the St. Jude Children’s Research Hospital, 501 St. Jude Place, Memphis, TN 38105-9959. Clinton Lovingood, age 81, of Marble, NC passed away Saturday, March 9, 2019 at Murphy Rehab and Nursing. He was a native and lifelong resident of Cherokee County, NC and the son of the late Wayne and Wilma Hancock Lovingood. Clinton was a member of Maltby Baptist Church. He was a former Sunday School Superintendent and a former Adult Sunday School teacher. Clinton was a Past Master of Marble Springs Masonic Lodge #439, Waynesville Chapter of the York Rite, Royal Arch No. 69 and Doric Council #20. In addition to his parents he was preceded in death by his wife, Joyce Kathy Moss Lovingood; and his son, Johnny Clinton Lovingood. He is survived by his son, Stacy Lovingood and wife Lisa of Marble; his daughter, Barbara Jean Hogsed and husband Malcolm of Andrews; brothers, Cecil Lovingood and wife Wanda of Marble, NC and Kenneth Lovingood and Toni of Anderson, SC; sisters, Carolyn Moss and Lois Johnson Lovingood; three grandchildren, Breeze Hogsed Cresmen, Nathan Hogsed, and Alyssa Lee; four great-grandchildren, Mackenna Cresmen, T.J. Long, Silas and Summer Lee; and several nieces and nephews. Funeral Services will be held 2 pm, Monday, March 11, 2019 at the Oak Grove Baptist Church. Preacher Darrell Dockery, Pastor Kenny White, Rev. Fred Lunsford and Steve Wyke will officiate. Burial will be at Moss Cemetery in Marble with Masonic graveside rites by Marble Springs Masonic Lodge #439. Pallbearers will be Barry Lawrence, Steve Wyke, Jack Millsaps, Greg Lovingood, George VanBuskirk and Maurice West, Jr. Honorary pallbearers will be Doug Lovingood, Shylan Moss and Nathan Hogsed. The family will receive friends from 12-2 pm, Monday, March 11, 2019 at the Oak Grove Baptist Church.